LDV will be introducing another electric van to its range. 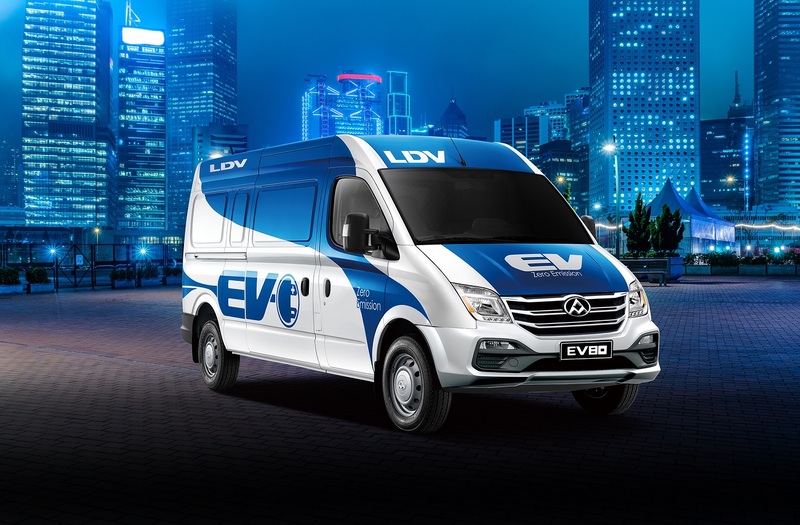 The first electric vehicle from LDV was the EV80, which has a 120-mile range on a single charge and, thanks to the high-capacity lithium-ion battery, can be fully charged in less than 90 minutes. LDV is manufactured by SAIC, the largest automotive company in China and distributed in the UK, Ireland, Channel Islands, Isle of Man, Malta and Cyprus by Harris Automotive Distributors UC t/a LDV UK & Ireland. Details of the new addition are still under wraps, but LDV has revealed that this new van, EV80’s little brother, will be the first model launched by LDV that will be specifically designed and manufactured as a pure-electric van tailored for the UK market and will go on sale in 2020. The launch will take place on 30th April at the Commercial Vehicle show in Birmingham. To celebrate the growth of the LDV brand across all markets and showcase its green credentials, LDV has a competition and is giving away a brand new EV80 panel van worth more than £60,000. The lucky winner will be presented with their prize at CV Show on April 30th and, as part of the giveaway, the winner and a guest will enjoy a five-star stay in Birmingham for the show. To be in with a chance to win, interested parties simply need to check out myldv.co.uk/ldv-ev80-great-give-away and complete a short survey by April 19th. Would you consider an electric van? Let us know on Twitter. When do you need a tachograph?